Here’s a rundown of our favorites, including our top pick – the QT Lumbar Brace by Calibre Support. Years of poor posture from my office job has left me with chronic lower back pain. The lower back is subject to a tremendous amount of mechanical stress due to the weight of the upper body. Factors like poor posture, injuries, and certain medical conditions cause pain and discomfort that lingers. 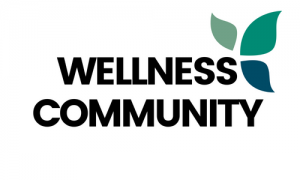 While practicing proper posture and maintaining an active lifestyle helped to ease the pain, I found a great deal of relief from my back brace. Many physicians recommend the use of a back brace to manage lower back pain, but not all braces are made equal. After testing numerous products, I found the best back brace for the lower back pain to be adjustable, slightly cushioned, and breathable to allow for all-day wear. If you’re looking to improve your quality of life, here’s a look at some of the top back braces I’ve tried and highly recommend. Type: There are several distinct types of back braces currently on the market. 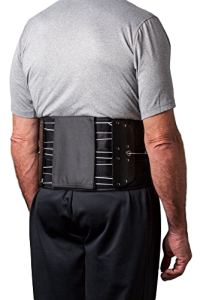 For example, a posture belt or band wraps around the torso to help straighten and support the lumbar (lower back) and thoracic (mid-back) regions. Constriction: Constriction or compression is essential to help keep the spine in its proper position. Most types of compression material are breathable to allow for long-term comfort. Adjustability: Not everyone is the same size or has the same body shape. It’s important to choose a back brace that is adjustable to give you the most custom fit possible. Size: Many back braces come in a variety of sizes to accommodate all users. Be sure to refer to the manufacturer’s sizing guide and measure your body properly to find the best size for your body. Here are the top back braces for lower back pain based on quality and user experience. For near instant relief from lower back pain, the QT Lumbar Brace by Calibre Support works like a charm. 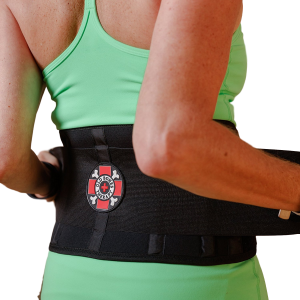 This affordable and simple-to-use brace is available in two sizes: small and large. While made from high-quality materials, the fabric is lightweight, discrete, and comfortable to wear. The adjustable design also allows you to control the fit and level of compression. What makes this Calibre Support brace the best back brace for lower back pain is that it is simplistic, yet highly-effective, design. With two fastening Velcro compression straps and four re-enforcing struts, the brace helps to improve your posture while speeding up your recovery from various back problems, such as slipped discs or sciatica. It also supports the mobility of the spine, including the tendons, ligaments, and muscles. This brace features double compression technology that helps to alleviate lumbar pain by applying just the right amount of compression to your injured back. When in place, the brace also creates heat retention which aids in recovery. Calibre Support is so confident that you’ll love their product that they even offer a 100 percent money back guarantee on every purchase. My next choice for best back brace for lower back pain is the only brace on the market with published clinical studies. The Aspen Medical Grade Back Brace-Quickdraw PRO has been proven to relieve pain from strenuous activity and injuries to help keep you active and pain-free. The brace comes in seven sizes and three colors to allow you to completely customize your purchase. 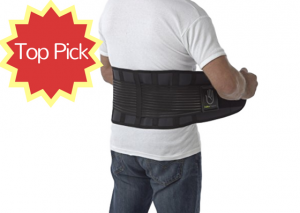 If comfort is on the top of your priority list, this back brace is for you. It permits a full range of motion while still providing optimal support. The washable knit fabric is not irritating against the skin and fits comfortably under clothing. What makes this brace unique is the patented independent upper and lower tightening system that provides a great fit for all sizes and body types. The best-selling back brace is recommended by medical professionals from around the world. I found it easy to put on and take off, as well as simple to adjust for the perfect fit. The patented tightening system was found effective in clinical trials to increase your trunk stability which in turn, reduces your pain. To get the ideal size, measure your belly around the navel, not your waist. Spend the money – it’s worth it! 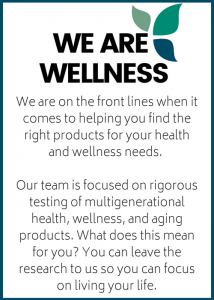 Mueller is a well-known brand in the field of sports medicine due to their high-quality products that work well to stabilize the spine and minimize discomfort. The Mueller Adjustable Back Brace w/Removable Pad is the ultimate back brace for individuals who value comfort and fit. The brace is available in a range of sizes and in two color selections. 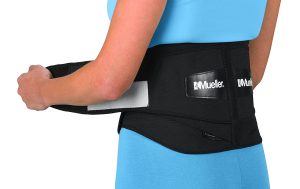 The Mueller brace is effective in relieving lower back pain from muscle spasms, sprains, and strains. It features a double layer design that provides adjustable compression and a custom fit that spreads over the abdomen and lower back. To increase comfort, the brace comes with removable lumbar pad cushions that provide targeted support where you need it most. You’ll find stainless steel supports along the spine region which adds enhanced stability, as well as an internal molded plastic component that prevents the fabric from bunching or rolling. To achieve a custom fit, the brace has outer elastic tension straps. Between the reinforced lumbar region and adjustable straps, this brace is the perfect solution for decreasing pain symptoms and improving proper posture. With an innovative design and superior support, the ComfyMed® Premium Quality Back Brace is an excellent option for individuals recovering from injuries, as well as those trying to prevent further back problems. The brace is available in a variety of sizes and comes with a removable lumbar pad that aids in the treatment of sciatica, herniated disc, scoliosis, and degenerative disc disease. Considered one of the most comfortable back support belts currently on the market, the ComfyMed brace is constructed of quality materials that are highly durable and washable. This is the only back brace with easy grip handles and the removable lumbar pad does not slip, roll, or bunch. If you’re in search of a natural and effective treatment for your chronic lower back pain, you’ll want to try this one. The reason this product made it to the top of my list for best back brace for lower back pain is due to its numerous benefits. In addition to being lightweight with a soft feel, the brace is excellent at staying in place and providing strong support. While the fabric is breathable, it continues to offer therapeutic warmth which feels great after a long day at work or strenuous activity. If you’re like me and suffer from a stiff back or soreness post-exercise or after a long day at work, a quality back brace is essential. The Back Support Belt & Lower Back Brace by Old Bones Therapy provides the relief I need to continue on with my day. Its ergonomic design is chiropractor-approved and features an internal pocket designed to hold custom cold or hot gel packs for enhanced pain relief. What makes this the best back brace for lower back pain is its neoprene construction that allows for breathability and comfort while improving blood circulation. The gentle compression also reduces pain, swelling, and stiffness while providing your back with the support it needs for proper alignment. 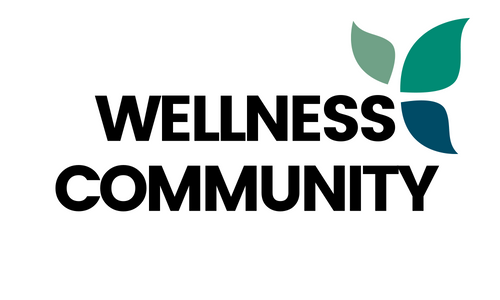 It’s now possible to achieve an active lifestyle without having to deal with the painful aftermath. One great thing that makes the Old Bones Therapy brace innovative and effective is its use of hot and cold therapy. Unlike other back braces that simply relieve pain through compression alone, this unique brace uses hot and cold gel packs to prevent swelling and aid strains, sprains, and other back injuries. The back brace comes with one hot pack and one cold pack that you can alternate for enhanced recovery and healing. My lower back is happy!